The Food Allergy and Anaphylaxis Network (FAAN) is a nonprofit membership organization (membership fee 30 year for individuals) whose participants include families, doctors, dietitians, nurses, support groups, and food manufacturers in the U.S., Canada, and Europe. The group provides education about food allergies in addition to support and coping strategies for people who are allergic to specific foods. 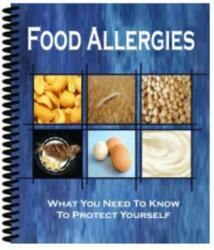 This no-nonsense, highly accessible site is required reading for people with food allergies. Others, such as families and friends, can also benefit from its solid information and support services. A true food allergy is a hypersensitive reaction that occurs when your immune system responds abnormally to harmless proteins in food. That is, your body misinterprets something good as an intruder and produces antibodies to halt the invasion. Remember the episode of Three's Company when Jack sneaked in late one night, and Chrissy and Janet mistook him for a robber and clobbered him over the head It's the same thing with food allergies, only you're the one who gets clobbered. Food allergy is an overreaction by the body's immune system, usually triggered by protein-containing foods (such as cow's milk, nuts, soybeans, shellfish, eggs, and wheat). Food intolerance is an adverse reaction that generally does not involve the immune system (such as lactose intolerance). If your body reacts to food or a food component, you may have a food intolerance, not an allergy. 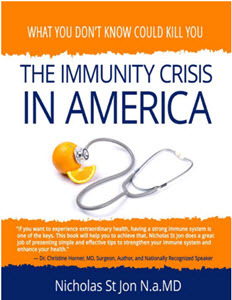 Unlike food allergies, food intolerances don't involve the immune system. Because they prompt many of the same symptoms (nausea, diarrhea, abdominal cramps) food intolerances are often mislabeled as allergies. 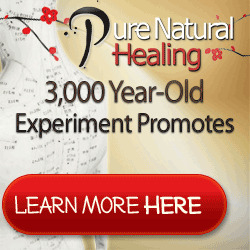 With a food intolerance, physical reactions to a food often result from faulty metabolism. The body can't adequately digest a certain component of a particular food perhaps because a digestive enzyme is deficient. Substances that are part of a food's natural chemistry such as theobromine in coffee or tea, or serotonin in bananas or tomatoes may cause reactions, too. Depending on the type of food intolerance, most people can eat small servings of the problem food without unpleasant side effects. (People with gluten intolerance and those with sulfite sensitivity are exceptions.) In contrast, people with food allergies usually need to eliminate the problem food from their diet. There are three basic types of lactose intolerance primary, secondary, and congenital. In primary lactose intolerance, the body begins to produce less lactase after about the age of two, depending on an individual's racial or ethnic background. This type is genetically determined and is a permanent condition. Secondary lactose intolerance, on the other hand, is temporary and results from a disease or medications that damage the lining of the small intestine where lactase is normally active. Secondary lactose intolerance gradually disappears when the illness passes. Congenital lactose intolerance is an extremely rare condition in which the lactase enzyme is completely absent at birth. Unlike other types of lactose intolerance, this type requires complete avoidance of lactose. The following tips are helpful for people who have difficulty digesting lactose. As mentioned earlier, the degree of lactose intolerance can vary from person to person therefore, not everyone will be able to handle all of the suggestions. Give them each a shot, but be sure that you're in a comfortable place if some seem a bit risky. Keep in mind that lactose-containing foods are generally your best sources for the mineral calcium, so children and women with increased calcium requirements should load up on the nondairy sources and speak with a registered dietitian about the possibility of calcium supplementation. For further information and a free brochure on lactose intolerance, call 1-800-LACTAID. For further information and a free brochure on lactose intolerance, call 1-800-LACTAID. Some people with lactose intolerance can tolerate yogurt because the bacteria in the yogurt actually metabolizes the milk sugar lactose for you. Because Amy has a form of lactose intolerance, she cannot digest milk unless it is in the form of yogurt, hard cheese, or cottage cheese. Drinking any milk products that contain lactose, such as the chocolate shake, will result in discomfort. Anyone with lactose intolerance should avoid milk, milk solids, whey (the liquid from milk), and casein, which is milk protein. Lactose is also found in breads, cereals, instant soups, instant potatoes, salad dressings, and nondairy powdered creamers. Drinking acidophilus milk or taking a pill containing lactase can also help avoid the digestive problems. In addition, about 20 of prescription drugs and 5 of over-the-counter drugs contain lactose. People with lactose intolerance need to be careful not to become deficient in calcium or riboflavin, a B vitamin.
. . . what is an exercise-induced food allergy It's a reaction from eating a certain food before exercising. Allergic reactions may appear once exercising starts and the body temperature starts to rise. Anaphalaxis may even develop. The way to manage this avoid eating that food for a couple of hours before exercising. For more education about managing specific food allergies, and a cookbook, newsletters, and other support, contact the Food Allergy and Anaphylaxis Network. See Resources You Can Use at the back of this book for contact information. Egger, J., Carter C.M., Wilson, J., Turner, M.W. and Soothill, J.F. (1983) Is migraine food allergy A doubleblind controlled trial of oligoantigenic diet treatment. Lancet 1, 865868. 37. Mansfield, L.E., Vaughn, T.R. and Waller, S.F. (1985) Food allergy and adult migraine, double-blind and mediator confirmation of an allergic etiology. Ann. Allergy. 55, 126129. 38. Monro, J., Brostoff, J., Carini, C. and Zilkha, K. (1980) Food allergy in migraine study of dietary exclusion and RAST. Lancet 2, 14. Th2-biased immune responses are believed to be important in the immune responses against helminth infections. If, however, Th2-biased immune responses are inappropriately directed against innocuous antigens, such as allergens, tissue damage and inflammation may ensue. These inappropriate Th2 responses underlie asthma, eczema, hay fever and some food allergies. Foods associated with intolerance include preserved foods, foods containing monosodium glutamate (MSG, a flavor enhancer), and specific foods such as milk, pickled herring, soy sauce, chili peppers, and nutmeg. Intolerance to lactose is a major problem for many populations. In the United States, lactose intolerance is common among those of African and Asian descent. The Native American population also has a high prevalence of lactose intolerance. For many food intolerances, including those listed above, specific chemicals or enzyme abnormalities have been identified as being associated with the intolerance. Lactose intolerance is associated with problems with the enzyme lactase. Chemicals associated with food intolerance include sulfite (in preserved foods), tyramine (in pickled herring and soy sauce), capsaicin (in chili peppers), and myristicin (in nutmeg). Celiac disease can be difficult to diagnose because the symptoms vary from person to person. Some people experience diarrhea others complain about constipation and bloating. Your best bet is to talk with your doctor if you are having intestinal problems or have other niggling health concerns including unexplained fatigue, infertility, and lactose intolerance. Dermatitis, enteritis and hepatic dysfunction. Upper non-specific gastrointestinal symptoms, such as nausea, vomiting, bloating and food intolerance, occur in a large proportion of patients, even in the absence of lower gastrointestinal symptoms.61 These symptoms seem to be more frequent than those arising from lower involvement and are thought to represent an early manifestation of GVHD. Endoscopic findings vary considerably, ranging from normal-appearing mucosa to exensive mucosal sloughing. Histological findings are diagnostic, including gastric epithelial cell apoptosis and a marked lymphocytic infiltrate in the lamina propria. Upper gastrointestinal GVHD appears to be highly responsive to immunosuppressive therapy. Food intolerance is a term used to describe reactions that are common, nat- r ural, and definitely not allergic, which means that these reactions do not 2 I ) involve production of antibodies by the immune system. Some common food * A metabolic food reaction This response is an inability to digest certain foods, such as fat or lactose (the naturally occurring sugar in milk). Metabolic food reactions can produce gas, diarrhea, or other signs of gastric revolt and are an inherited trait. Patients in this phase are dealing with many different changes, both physiological and psychological. The small gastric pouch only allows very small portion sizes, and they feel full and satisfied. They are not hungry, and often forget to eat. Attempts at overeating result in vomiting, and they quickly learn to control portion sizes and food reactions. The patient in this phase is dealing with significant changes in comorbidities, physiological feedback, and psychological changes associated with surgery. Nutrient absorption is efficient because the GI tract is folded with several surfaces for absorption and these surfaces are lined with villi (hairlike projections) and microvilli cells. As one nutrition textbook puts it, each person has a surface area equivalent to the surface of a tennis court packed into his or her gut (Insel et al., p. 81). Efficient absorption can be compromised due to lactose intolerance. Lactose intolerance is not uncommon in the world, affecting about 25 percent of the U.S. population and 75 percent of the worldwide population. It is usually due to the lack or absence of the enzyme lactase, which breaks down milk sugar. Lactose intolerance is not a food allergy. Food allergies are serious, even life threatening, but most people with lactose intolerance can digest small amounts of milk, especially in yogurt and cheese. FAO (1995) Report of the FAO Technical Consultation on Food Allergies. Food and Agriculture Organization, Rome. 16. Hefle, S.L., Nordlee, J.A. and Taylor, S.L. (1996) Allergenic foods. Crit. Rev. Food Sci. Nutr. 36S, 6989. 34. Suarez, F.L. and Savaiano, D.A. (1997) Diet, genetics, and lactose intolerance. Food Technol. 51 (3), 7476. Assuming that at least some individuals experience food-triggered headaches, two main theories have been presented to account for this effect. The first is that vasoactive amines in food affect blood vessels in the brain, causing the vasodilatation associated with migraine pain. According to the vascular theory of migraine, a migraine episode is associated with changes in the vascular system, with a period of vasoconstriction (a decrease in blood flow to the brain, often associated with an 'aura'), followed by a reactive vasodilatation which is associated with the sensation of throbbing pain. Vasoactive amines in foods such as chocolate are thought to trigger vascular reactions in those who are prone to migraine or sensitive to the effects of that particular amine. The second, more controversial hypothesis is that these patients suffer from food allergies and that migraine pain is an allergic reaction. The definition of biomarkers is still incomplete. Several methodologies have been developed for IgA response measurements. Sampling needs blood collection or intestinal biopsies or stool and saliva collection. 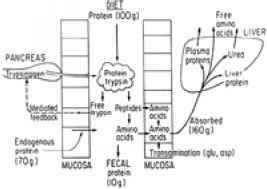 Problems in faeces and saliva handling and daily variations in expression of IgA activities have not been solved. In the case of oral tolerance, the biomarkers available in human subjects are defined as the absence of proliferation of cultured blood cells with antigen or down-regulation of inflammatory cytokines involved with food allergies (Benlounes et al. 1996 Siitas et al. 1996a,b). Other methodologies must be developed according to further knowledge about oral tolerance mechanisms (Weiner et al. 1994). As mentioned above, although most of your daily protein should come from whole food protein sources, getting all of your protein in this way isn't always possible or practical. That's when the protein supplements should come into play. Yet milk protein supplements aren't the only type to choose from. Other protein supplements on the market are made from egg protein, soy protein, rice protein, and other foods. Although milk protein supplements are the most popular, if you have a milk allergy or milk proteins supplements make your stomach uncomfortable, try another type of protein supplement. Some persons with celiac disease, especially those who are newly diagnosed, may have a secondary form of lactose intolerance. Lactose is a type of sugar found in milk. 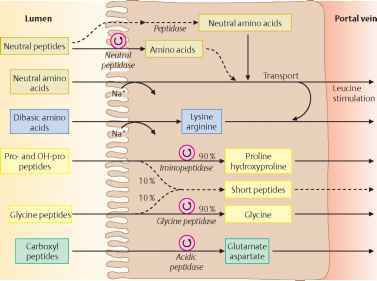 To be digested, it must be broken down in the small intestine by the enzyme lactase. Persons newly diagnosed with celiac disease may have low levels of lactase as a result of damage to the lining of the small intestine. As the small intestine heals in response to a gluten-free diet, the lactose intolerance will naturally resolve. Until it does, a lactose-reduced or lactose-free diet is generally recommended. Because individuals with lactose intolerance may avoid milk products, and because milk products are a major source of calcium in the American diet, persons with celiac disease who also are lactose intolerant may not consume enough calcium. Celiac disease is an inherited autoimmune disease that usually affects several organs in the body before it is diagnosed and treated. When a person with celiac disease consumes any food, beverage, or medication containing wheat, barley, rye, and possibly oats, his or her immune system is triggered and responds by damaging the lining of the intestinal tract. As a result, symptoms include recurrent abdominal pain, bloating, diarrhea, weight loss, lactose intolerance, and malnutrition, often accompanied by nonintestinal symptoms such as anemia and fatigue. Some people have no symptoms whatsoever. Lactose intolerance inability to digest lactose, or milk sugar Osteomalacia is a disease in which insufficient mineralization leads to a softening of the bones. Usually, this is caused by a deficiency of vitamin D, which reduces bone formation by altering calcium and phosphorus metabolism. 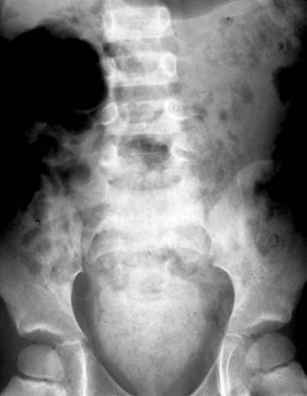 Osteomalacia can occur because of reduced exposure to sunlight (which, after touching the skin, causes the body to make vitamin D), insufficient intake of vitamin D-enriched foods (like vitamin D-fortified milk), or improper digestion and absorption of food with vitamin D (as in bowel disorders such as lactose intolerance or celiac disease). Lemke, P.J. and Taylor, S.L. (1994) Allergic reactions and food intolerances. In Nutritional Toxicology (Ed. by Kotsonis, F.N., Mackey, M. and Hjelle, J. ), pp. 11737. Raven Press, New York. 5. Niestijl Jansen, J.J., Kardinaal, A.F.M., Huijbers, G.H., Vlieg-Boestra, B.J., Martens, B.P.M. and Ockhuizen, T. (1994) Prevalence of food allergy and intolerance in the adult Dutch population. J. Allergy Clin. Immunol. 93, 446456. 6. Young, E., Stoneham, M.D., Petruckevitch, A., Barton, J. and Rona, R. (1994) A population study of food intolerance. Lancet 343, 11271130.